Shortly after the war started, a propaganda movement encouraged women to hand out white feathers to young men not wearing military uniform. The idea being that this direct assault on their masculinity would shame them into joining the army. For many reasons the recipients of these feathers were undeserving of such treatment and to counter it, military authorities were prompted to produce what was known as a ‘silver war badge’ ostensibly to stop service personnel who had been honourably discharged due to wounds or sickness being publicy humiliated. 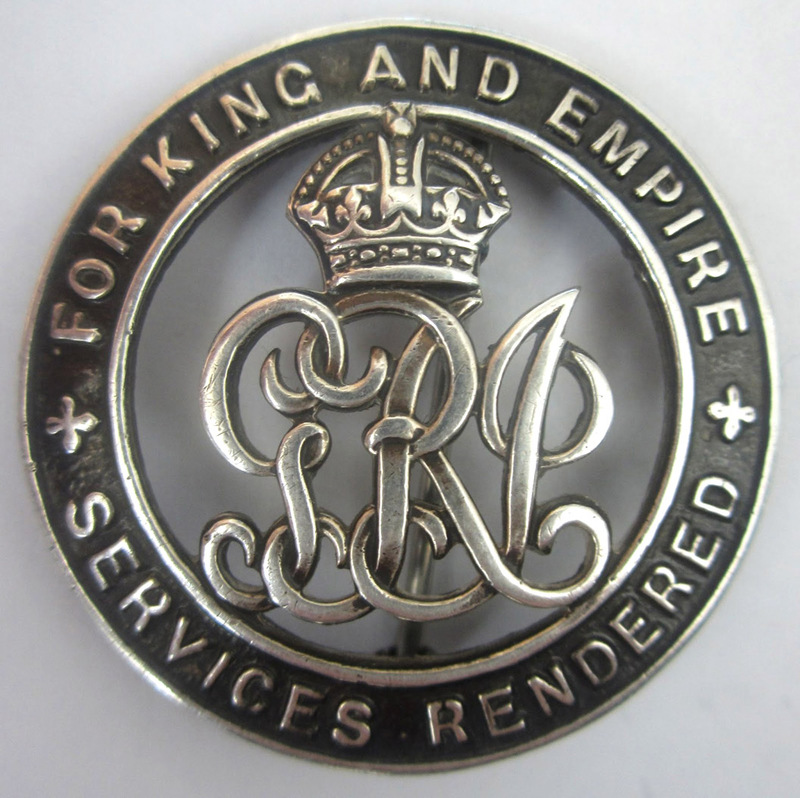 Similar badges were issued to those working in ‘protected industries’. No one could accuse William Henry Mullinger Mace of deserving a feather. He must have only just turned sixteen when he enlisted with the Brecknock Battalion of the South Wales Borderers on 13th November 1914. One moment he was living with his mother and step-family at No 2, Thurso Street, then the teenage stonemason’s labourer was off to Brecon. Unfortunately, somehow he soon became seriously ill and was discharged on 12th May 1916 without ever serving overseas. Little is known about his military service except that he was awarded a silver war badge. He died on 13th March 1917 from pulmanory tuberculosis, aged eighteen. His brother Arthur, also in a Welsh Regiment, died a year later of the same disease. The St Mary’s parish magazine indicated that Arthur had died in hospital and was buried locally. I soon discovered that both Maces were interred in Streatham Cemetery and made a visit. It may be a complete coincidence, but whilst the attendant at Lambeth Crematorium on Blackshaw Road was looking for the ledger, I picked up a leaflet from Trinity Hospice (I liked the font they used). The ledgers revealed that William and his brother Arthur were buried in public graves. Arthur shares his with twelve other people, Willliam with ten. He isn’t the youngest in that grave, five of those with him were under two years old. There is nothing to mark any of them. Very fortunately, Arthur’s military service records survive in the National Archives and they provide a small clue about William. Amongst his medical reports it simply stated that ‘a brother was invalided out of the army with the same condition’. William’s death certificate indicated his regiment and the place where he died, an establishment called The Hostel of God at 29, Clapham Common Northside. A hospice for the terminally ill had been established in 1891 by the banker William Hoare to provide a home ‘for the man who is neither curable nor incurable, but simply dying’. By 1894 there were ten beds, and although it had grown to 55 spaces by 1933, William would have been lucky to secure his place. It was initially run by the Sisters of the Poor, and later by St Margaret’s nursing order of nuns. The site of this stands in the tranquil north-east corner of Clapham Common not too far from the Holy Trinity Church, close to a collection of pubs in an area called ‘Old Town’. 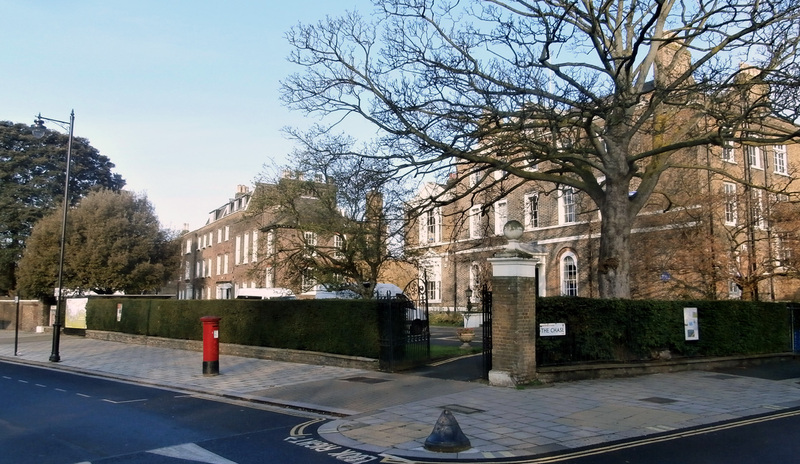 Originally the site of a grand mansion called Clapham Palace, then a large private home known as The Elms, it was briefly a girls school before becoming The Hostel of God in 1900. I was intrigued to find out where William Henry Mullinger Mace died and was astonished when I went to have a look, to see a blue plaque and find that some fifty years before William arrived, The Elms had been the last home of Sir Charles Barry, the architect of the Houses of Parliament who lived there between 1853 and 1860. What a contrast. William, in an unmarked grave somewhere in a patch of grass in Block D, Streatham Cemetery, Summerstown. Sir Charles, remembered with a marble sculpture in the Palace of Westminster and a tomb in Westminster Abbey. Yet they both died at 29, Clapham Common Northside. After the Second World War the hostel took over three neighbouring houses and the name was changed to Trinity Hospice in 1980. Its still there, providing its specialist services free of charge for those who need them in its community of over 750,000 people from central and south-west London. It celebrated its centenary in 1991, appropriately enough with a service in Westminster Abbey. It would be fitting if the centenary of William Henry Mullinger Mace’s death was to see some formal recognition of the sacrifice of this forgotten young soldier from Summerstown. UPDATE: On 8th December 2014 we heard that William Mace had been rejected for Commonwealth War Grave Commission recognition by the Ministry of Defence adjudicators. His brother Arthur was accepted. The crucial difference was that the cause of William’s death, ‘pulmonary tuberculosis’ was something that he was suffering from before he joined the army and not aggravated by his service. His record contains a ‘Report of the Medical Board’ dated 27th April 1916 which states that the origin of the disease was ‘about 4 years ago’ and noted that Private Mace developed the disease whilst working as a pawnbroker’s assistant. This was due to ‘exposure to chills and probably contact and unhealthy life in pawnbrokers’. The vital statement signed by the Director General Army Medical Services (G.A.M.S.) reads ‘This man’s present condition cannot be regarded for pension purposes as due to or aggravated by: a. Service since declaration of war b. Climate c. Service generally’. The adjudicators decided in 2014 that ‘As a result of the conclusive nature of the Medical Board and G.A.M.S. statements, preventing the formation of any link between cause of discharge and death, Pte. Mace does not qualify for commemoration by the CWGC’. Lance Corporal John Lander of The Rifle Brigade is not one of the men whose home is indicated with a poppy on our map because, although his name is on the war memorial, so far we haven’t been able to connect him with this area. The closest he gets is 18 Burnaby Street, Chelsea, a good three or four miles away, in the much-changed Sands End area on the other side of the river. Now associated with the Chelsea Harbour development and overpriced luxury flats, it was once an industrial area populated by a close-knit working class community. His disappearance is noted in the August 1918 edition of the St Mary’s parish magazine, where it is observed that he had been ‘reported missing’. He had been for five months. Like William Nicholls of Huntspill Street, 38 year old John was swept up in the German Spring Offensive and his date of death is recognised by the Commonwealth War Graves Commission as 24th March 1918. 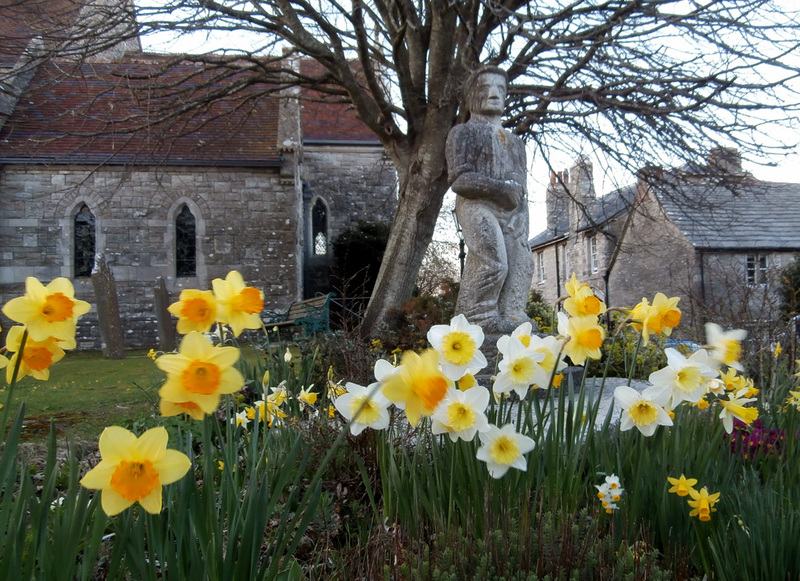 John was a stonemason from a prominent local family in the Dorset village of Langton Matravers, a few miles from Swanage, at the heart of the Isle of Purbeck stone trade. The son of Samuel Lander, a quarrier and his wife Frances, he has become the first Summerstown182 member whose Mother we have located a photograph of. The Lander presence is still highly visible in Langton Matravers as I found out on a recent visit. A quarrying company on the edge of town bears the name, as do at least half a dozen graves in the churchyard. I took a photo of one of them to find out later it was John Lander’s parents. I also took a photo of a poster advertising a forthcoming talk by local historian called Reg Saville. We have since been corresponding and this extraordinary nonagenarian has been able to fill me in on some Lander background. At the age of 11, John is listed in the 1891 census as already working as a labourer. The family lived in one of a row of cottages built at Mount Pleasant by a Mrs Frances Serrell of Durnford House. This manor house later became a school, but not for the likes of John Lander. It toughened up young gents for Dartmouth Naval College, route-marching them down to the sea to jump naked into the water at Dancing Ledge. A swimming pool was hewn out of the rocks for use during rough weather and this spot, with its haunting collection of disused quarries and sweeping limestone downland is one of the most dramatic coastlines in England. But ten years later John Lander was in London. I was curious why a 21 year old with a trade and strong family ties, would leave one of the most beautiful parts of the country and move to London. John was living in Battersea in 1901 and in 1911 with his brother Albert, also a stonemason at lodgings in Chelsea. As Reg explained ‘London was growing very fast and stonemasons and workers in stone were in great demand. 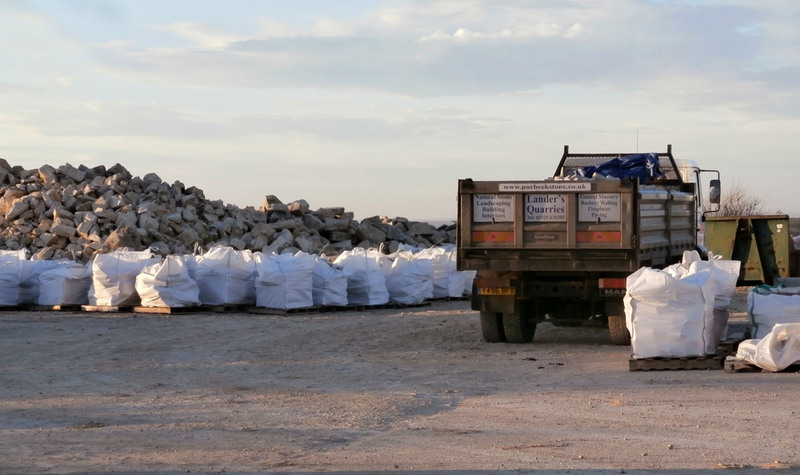 A brother would be left in Dorset in charge of the quarry, he would extract the stone, work it and load it on a stone barge in Swanage Bay, and it would then go off to Greenwich, where the other brother would collect it and build with it. The whole of Wandsworth, for example, was constucted in that way’. He told me about one stonemason from Langton Matravers called James Webber. ‘One of my great-grandmothers was his sister. He left his brother (who was blind) in charge of the quarry and he employed some six quarriers. When their mother died, James came down from London and pulled down the tiny cottage where she had lived and built one of his Wandsworth houses, consisting of a cellar and three storeys, with front ornate wall of the local stone, and side and back walls of red brick. He left tie-stones so that his neighbours would be able to follow suit. Everyone in this village has always hated the incongruous building’. ‘Another area of London known as Kensal also housed many men from Langton Matravers and Worth Matravers on a temporary (up to ten years) basis. 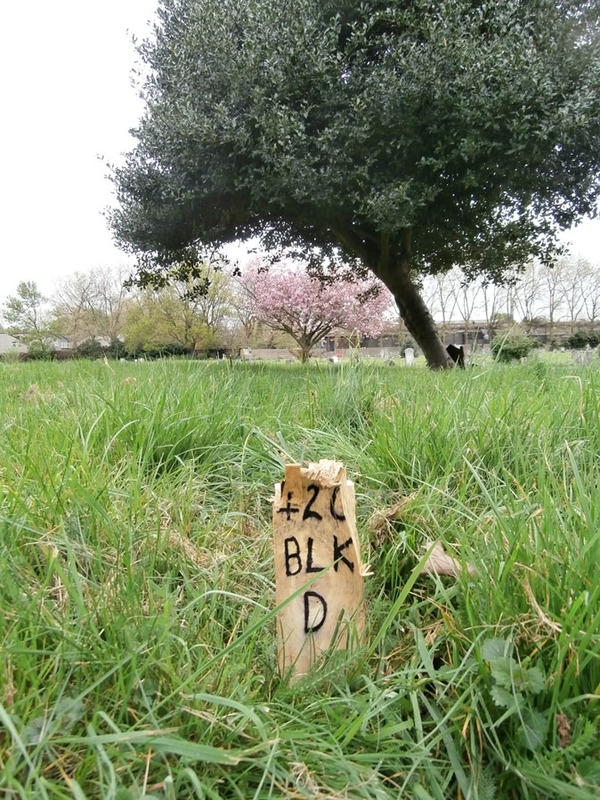 The new London Cemetery had been opened on Kensal Green and the road beside it, known as Kensal Rise, was nicknamed ‘Little Langton’ because of the number of monumental masons from the village who lived there and worked in their back gardens making tombstones every day’. So there would have been plenty of work for John Lander in London, and who knows, he may possibly have used his skills in the construction of St Mary’s Church in Summerstown? The foundation stone was laid in 1902 and the houses on neighbouring Keble Street and Burmester Road were also built at this time. Its possible that John Lander was known to the church through his involvement in its construction and that might explain his inclusion in the Summerstown182. Perhaps Mr Reg Saville will be able to find out and let us know. It wouldn’t surprise me. Have a look at his wonderful website to find out more about this fascinating and most stunningly beautiful area. Its only two and a half hours drive from Summerstown and well worth a visit! When I first saw the name ‘H Glasset’ on the war memorial I thought he was probably french, Monsieur Glasset. There appeared to be no trace of him but then he popped up as Harold Glassett with an extra ‘t’ in the Commonwealth War Graves Commission and census records. And he was a lot closer to home, in fact only a few doors away from me at No 29 Keble Street, right next door to St Mary’s Church. There is something about a submarine that terrifies me – bad enough to inhabit such a claustrophobic world in peaceful times but imagine being in one in a war, with the constant possibility of a horrible watery death in a confined space. Such was the fate of poor Harold Glassett who was on board the last submarine to be lost in the First World War. The son of Agnes and William, a plasterer, according to the 1911 census, Harold was 15 and unlike his younger brother and sister, he had already left school and was working as a ‘van boy’. Fast forward seven years and in 1918 he was a Stoker 1st Class on a submarine, simply known as G7. In echoes of recent events in the skies, she was on patrol in the North Sea, looking out for U-boats when communications were lost on 23rd October. She was declared lost on 1st November, just ten days before the end of the war. Sailing out of Blyth in Northumberland, she was part of a flotilla of ten submarines stationed there. Her commanding officer was Lt Charles Russell and there were 30 officers and men on board. Conditions at sea are described by another submariner working at Blyth at this time. ‘The wind was rough and the sea mountainous. The motion of the boat was a perpetual swinging, swaying, racking, rolling and listing. Inside the humidity was intolerable; moisture condensing on the cold steel hull ran in streaks to the bilges; food turned rotten and had to be thrown overboard. Bread became soggy and mildewy. Paper dissolved. Our clothes were clammy and never dry and whatever we touched was wet and slimy. The air we breathed was a mixture of hydrogen and chlorine from the batteries, foul air, the smells of cooking and unwashed bodies, of arsenic and oil fuel and finally carbon monoxide. No wonder we hardly spoke to each other.’ The same account also recalled ‘G7 set off on patrol and was never heard of again. Probably struck a mine, and they had been such a fine jolly crew’. Just eight days before contact was lost with G7 another submarine J6, was sunk by a British ship in an incident of ‘friendly fire’. Only fifteen men were rescued out of a crew of forty-five. 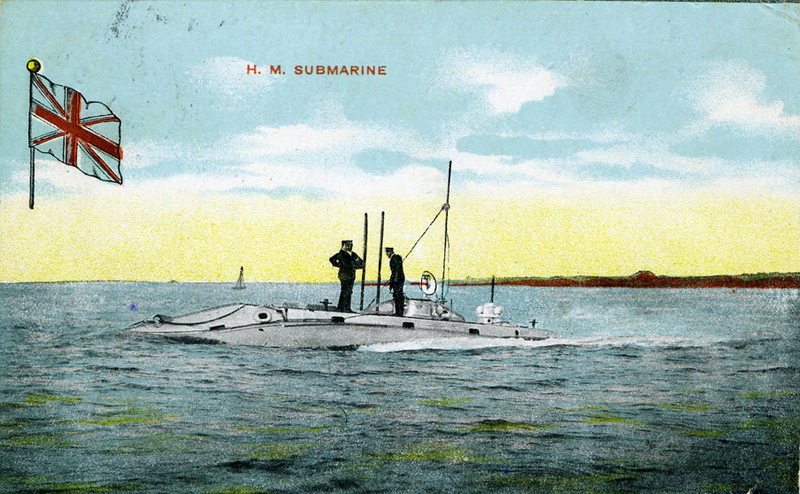 Recently the wreck of this submarine has been discovered by divers. Harold Glassett’s G7 remains out there somewhere. UPDATE In March 2016, with the help of Steve Dyke, followed up with a letter from Sheila Hill, we got in touch with a Deborah Reeve in Norfolk. Her grandfather was Harold’s older brother Hubert, born in 1887. He’s not on the 1911 census at 29 Keble Street and at the age of 24, had probably already left home. In 1916 he married a Beatrice Talmage, and one of their children, another Hubert, was Deborah’s father. She has lived in Norfolk all her life and has no knowledge of her Great Uncle but was fascinated to hear about the project and is considering coming on a walk. She was very excited to hear about her Great Great Grandfather being a plasterer, especially as several generations of the family have since taken up the trade, including her son. Meanwhile, next to St Mary’s Church, the little two-bedroom house at 29 Keble Street is currently on the market for £700,000. Lets hope Deborah and her family get to visit the old Glassett homestead and get to admire the quality of the plasterwork. If any of the Summerstown182 fancied an apple strudel, a viennese whirl or perhaps a slice of battenberg cake, they would very likely have frequented Peter Jung’s bakery at 48 Tooting High Street. On the corner of Garratt Lane, diagonally opposite where Tooting Broadway tube station now stands, this distinctive red-brick domed building is presently occupied by Carphone Warehouse. In fact as you come out of the station, King Edward the Seventh seems to be gazing over to it, as if dreaming wistfully of a nice wedge of chocolate torte. However its prominence may have played a big part in its unpleasant destiny, for on at least three occasions in the early years of the war it was beseiged and attacked by an angry mob, fired-up by a combination of anti-German hatred and perhaps a craving for sugary pastries. There were roughly 27,000 Germans living in London in 1911, the majority clustered in the east end. They were engaged in all kinds of trade but numbers involved in baking, waiting and hairdressing were significant. Indeed it was estimated in 1912, that ten percent of the waiters in London were German. Hostility against them started before the war, but peaked in August 1914 upon its outbreak when there was disorder in the east end and the breaking-into and looting of a number of bakeries and bread shops. On 3rd October, Lord Charles Beresford wrote in The Globe blaming the sinking of the Live Bait Squadron upon ‘assassins in the shape of spies’. Stories circulated about German atrocities to the Belgian population. A campaign was launched against German employees in hotels and restaurants, who were apparently ‘not only spies but depriving Englishmen of employment’. The public was urged to boycott establishments which employed ‘aliens’. In October there was trouble in Deptford, a mob of five to six thousand attacked a pub owned by a supposed Austrian. There was also violence in Northcote Road and Battersea. A man accused of bad language and threatening to throw loaves out of a baker’s shop on Garratt Lane said ‘We don’t want any Germans here. I’ve lost two sons in the war’. The judge advised him it was no reason to throw bread out of a shop. Much worse was to come. In June 1915, the sinking of The Lusitania with the loss of 1,200 lives prompted a wave of fresh outrage in Britain. Days of anti-German rioting in London, Liverpool, Manchester and Newcastle followed. So many bakers shops were destroyed in the east end that there was a shortage of bread. That weekend, two butchers shops in Garratt Lane had their windows broken and on Wednesday Peter Jung’s bakery came under siege. An angry crowd assembled outside it from early evening, booing, jostling customers and threatening the occupants. Mr Jung, a German by birth, who had lived in Britain for 35 years and been naturalised for many of them, pulled down his blinds only to have his windows smashed by a shower of bricks and stones. The contents of the shop were ruined and the police seemed powerless to quell the disorder. At the height of the commotion a party of soldiers passed by in transport wagons to much mutual cheering. The mob which had now swelled to 600 people was only finally cleared by mounted police after 11pm but they simply proceeded to another German bakery at 110 Tooting High Street, owned by a Mr Grunhardt. The shutters were forced open and very soon these premises were also wrecked, and the contents pillaged by children. Mr Borghorst’s bakery on the corner of Fountain Road and Garratt Lane also came under attack and was only saved thanks to police vigilance. There were eight arrests in total and the judge took a tough line, telling one defendant ‘You set an example to all the roughs and scum in the neighbourhood to carry on this disorder instead of helping the police. It is not patriotism at all, it is pillage. You must pay forty shillings or go to prison for twenty one days’. The amazingly defiant Mr Jung even got his solicitors to write to the Tooting and Balham Gazette in protest, after the newspaper advised their readership that there were bakers ‘with British blood in their veins’ available in Tooting. The next significant anti-German violence occured in early June 1916 following the death of Lord Kitchener. The press stirred things up and an Evening News headline proclaimed ‘Intern them all!’ On Friday June 9th 1916 Peter Jung’s bakery was once more the focus of anti-German dissent. A crowd of between five hundred and a thousand people had assembled and they could not be dispersed until 11pm. Seventy policemen including eighteen on horseback and a number of special constables were present from about 8pm and buses were turned into the side roads. In spite of that eleven shop windows were broken and extensive damage done. A soldier, straight from the front passed along and the crowd followed him cheering. As he passed the shop a stick was driven through the window. Five arrests were made on this occasion. Two fifteen year olds appeared in the juvenile court charged with insulting behaviour and throwing missiles. A Mr Barker representing the police commissioner wished it known that doing such things were not only foolish, but unpatriotic. On the occasion of the last German riots after the sinking of The Lusitania, the ratepayers were put to the expense of £50,000. At the Balham and Tooting Traders Association meeting it was suggested that such heavy police deployment and the damage caused by traffic having to use the side roads were additional burdens for the rate payer and it was suggested the Government should take action and shut up shops held by Germans whether they were naturalised or not. There were suggestions from some quarters including Sylvia Pankhurst, that the rioters were motivated more by hunger than hatred of Germans. Certainly it does seem curious that all the reports involve shops trading in edibles. Many people of German descent anglicised their names because of all this or changed them completely. Of course the most famous family of all to do that was the one to which Edward the Seventh belonged. Perhaps he’s actually reflecting on that rather than any thoughts of sugary pastries. Peter Jung was born in 1863 in Eckweiler, Prussia, the son of a farmer. He had two younger brothers, Philip and Heinrich and a sister called Maria Katharina. None of the brothers wanted to be conscripted into the German army and as a result Peter came to Britain at the age of 16. He became a naturalised British Citizen some time before the First World War. He took over the shop in Tooting in 1900.Heinrich also came to Britain and had a shop in Fulham. Philip went to Sydney, Australia where he died of TB in 1920. Peter married Katharina Andrae at St. Nicholas Church, Tooting on 25 December 1893. Believed to be descended from Huguenots who fled from France, she was born on 27 March 1869 in Waldbockelheim, Prussia. Peter and Katharina had 4 children, a boy that was stillborn in 1898, Peter Henry Jung born 1899, Wilhelmina Katharina Jung born 19 Dec 1900, died 25 Feb 1901 and Anna Maria Elizabeth Jung born 30 Nov 1902. The family are buried in the churchyard of St. Nicholas Church, Tooting. Peter Jung died on 10 April 1929 and was buried on 15 April 1929. Katharina Jung died on 31 December 1947. Peter‘s son Peter Henry Jung served in the British Army during the First World War. I am very grateful to Kristina Pooley, grand daughter of Anna Maria Elizabeth Jung for providing this information about her Great Uncle and his family. I was amazed to hear someone at work last week referring to a pint in London costing £7. It was of course very different one hundred years ago, as a small incident that I read about in a 1916 edition of the South Western Star newspaper shows. Despite being well-catered for on the local hostelry front, its very likely that some of the Summerstown182 would have frequented The Castle, just a short tram ride down Garratt Lane to Tooting High Street. Indeed it is still going strong today and currently having a bit of a facelift. However back then, according to a report from the South Western Police Court, the licensee was in trouble for selling intoxicating liquor to a member of HM Forces on the sick-list on 3rd February 1916. A police sergeant recalled how he had gone into the pub that afternoon and seen Corporal Turner of the North Lancashire Regiment dressed in blue hospital uniform. He went to the counter, put down three pennies and called for a pint of ale. The barmaid duly obliged and the thirsty soldier began to drink. The policeman challenged first the barmaid, then the licensee and accompanied the soldier back to Springfield War Hospital on Wandsworth Common. In court, the barmaid, Charlotte Cornet, admitted having received instructions not to serve soldiers in blue uniforms but stated that because Corporal Turner had his collar coat turned up to the neck and she didn’t notice his blue trousers, she hadn’t been able to tell he was wounded. The judge said he was sure there was nothing approaching moral turpitude on the defendant’s part, but he could not overlook the offence. A fine of £5 was imposed. Extremely hefty for the time, but still probably not enough to buy a pint in central London in 2014. When I first saw the war memorial in St Mary’s Church, one name jumped out at me. L Danzanvilliers. This conjured up all sorts of pictures in my imagination and I assumed he was almost certainly some kind of dashing aristocratic officer, probably with an enormous elaborate moustache. Later I discovered that his full name was Louis Marie Joseph Vital Danzanvilliers, but that very far from being an aristocrat, he worked in a hotel kitchen. Born in Paris, Louis joined The Suffolk Regiment and was killed on 13th July 1917. He lies in Vlamertinghe New Cemetery, a few miles outside Ypres in Belgium and was probably killed in preliminary shelling prior to the battle of Passchendaele. Only a few weeks ago, I suggested to my friend over there, Bart that he go out some time and take photos of a few Summerstown182 graves that aren’t far from where he lives. One of these was Louis Danzanvilliers. The only reason was that I knew that Vlamertinghe was quite close and there was already a bit of a connection. There is a very good photograph of a group of officers from the Royal Inniskilling Fusiliers taken there in July 1917 and my Great Uncle is in the picture. Bart noticed that a recently-placed poppy wreath had been laid at Louis’ grave and on it a note. It read simply, ‘To Grandad, All my love, Marie’. The note also mentioned her husband’s name and from that small scrap of information, we are trying to find this lady and see if she might be able to tell us a little more about her Grandfather. We were quite hopeful that we might have found her in Staffordshire but the trail has gone cold. Louis was 39 years old when he was killed. He lived with his wife Caroline and young son, also Louis in a two-roomed property at 636 Garratt Lane. The 1911 census has him working as a ‘hotel kitchen stoker’, Caroline, like so many other women in the area worked in the laundry. Louis Junior, a ‘brass finisher’ was still living at this address when he got married twenty six years later. We think Marie is his daughter. 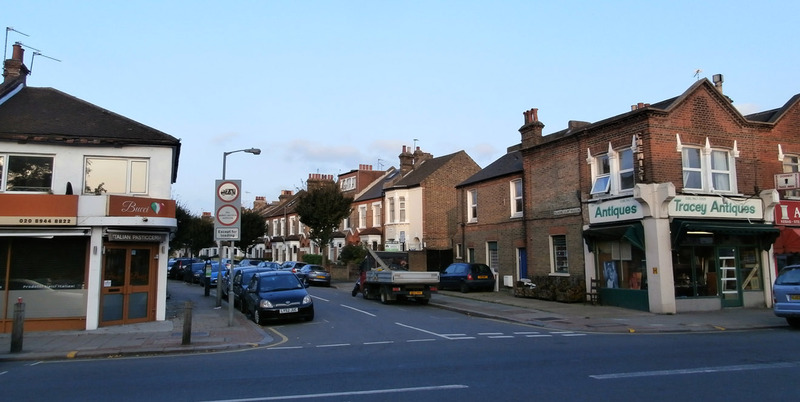 This particular stretch of Garratt Lane heading towards Earlsfield, from Tesco right the way up to just before The Leather Bottle, has changed radically and all the old houses are long gone. I get my MOT done at the WLFE Motors garage at 640 and 636 would be facing Franche Court Road, roughly where the recently built Arrow Electrical showroom is. Sometimes I cycle home down Franche Court Road and the large glass-fronted showroom is spectacularly illuminated, perhaps in a style which would be agreeable to a french aristocrat. But we’ll have to wait until we contact Marie and see a photo of Louis to see if he really does have that fantastic moustache. The 182 names on the St Mary’s Church war memorial served in a diverse collection of over fifty regiments of the British Army. Only two of them were ‘Biscuit Boys’ and Sidney Frank Cullimore was one of them. That was the name given to the men of the Royal Berkshire Regiment, so called because their barracks were just down the road from the Huntley and Palmer biscuit factory in Reading. Indeed H&P supplied the army with their delicious standard issue ‘hardtack’ biscuits. According to the Imperial War Museum ‘a typical way of rendering the product more edible was to grind or crumble the biscuit and add water to make a paste or ‘duff’ which could be added to mixed vegetables or stew’. Yummy. Idly googling the other evening, I stumbled upon David Knight’s website and the fact that Sidney Cullimore is on a war memorial in the village of East Garston, near Lambourne, the famous horserace-training town where he was born. Even more excitingly, there was a photo of him, resplendent in his Sergeant’s stripes! He joined the Berkshires less than a month after the start of the war and tragically was killed just nine days before its end. The action in which Sidney was wounded was one of the final great allied pushes of the war. Driving the Germans from the Rhonelle river near Valenciennes on 26th October, he was caught in a gas-shell barrage. Ironically later that day his battalion were stood down, they returned to their base and the war was over for The Biscuit Boys. Sidney died a week later on 2nd November 1918. He is buried in Cross Roads Cemetery in the village of Fontaine-au-Bois. Saddest of all was the fact that Sidney had gone back home to marry his fiancee in East Garston Church just two weeks before he was killed. It would appear that he had three brothers who also all served in the First World War, one even returning from his new home in Canada to join up. Sidney was a farm worker, a horseman according to the 1911 census and it would appear that he moved around a lot, working on various farms. Its just possible that his travels might have taken him to one of the farms on the edge of Summerstown. Indeed the info about him on ‘Forces War Records’ tantalisingly notes that although Sidney was based in Aldworth, Berkshire, he ‘lived in London’. David Knight made some enquiries in the neighbourhood and there was a recollection that ‘a sister may have lived in Earlsfield’. We can’t quite work out his connection with this area but he is most certainly one of our Summerstown182. In the St Mary’s parish magazine of January 1919, Reverend Robinson notes that ‘Sergt. S Cullimore, Berkshire Regiment was killed in action on November 2nd’. There is no doubt that it is the same man and the next time I sit down with a nice cup of tea I shall nibble on a hobnob and raise my mug to the memory of the Summerstown182 Biscuit Boy. UPDATE: In October 2015 with our Belgian friend Bart Seynaeve at the wheel we visited Sidney Cullimore’s grave. Just before that we’d found a rusted old horseshoe in the field next to a nearby cemetery at Peronne. This was War Horse country and close to the site of the battle of Le Cateau where the British Expeditionary Force escaped the advancing German First Army. It was hard to imagine the mayhem of thousands of horses and men participating in cavalry charges in 1914 but that horseshoe helped us. Bearing in mind that our next stop was to visit a horseman, it all seemed highly symbolic and we took it with us. 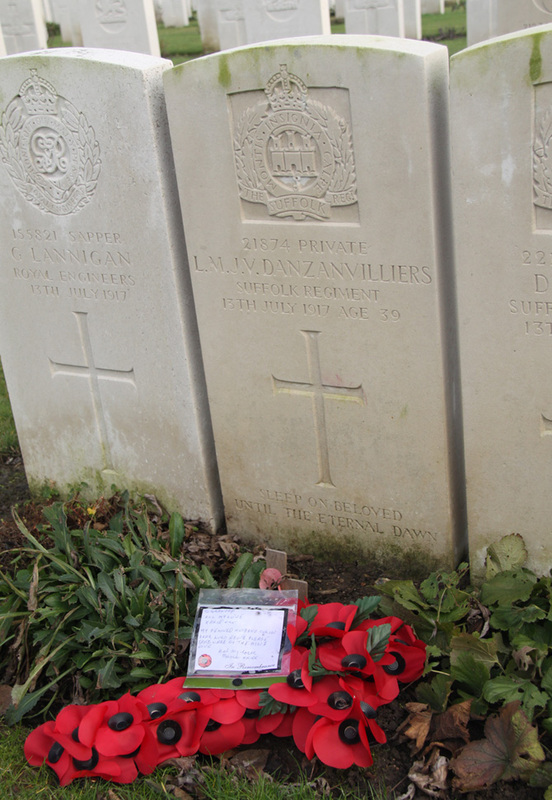 At Cross Roads Cemetery, my brother, unaware that we were honouring a Biscuit Boy, happened to produce a packet of chocolate digestives and an impromptu ceremony followed. We’ve still got the horseshoe and a year later it caused great interest when during our project with Burntwood School I was able to use it to help tell Sidney’s story.